Corsair has announced the global availability of the Neutron Series GTX and Neutron Series Solid-State Drives. 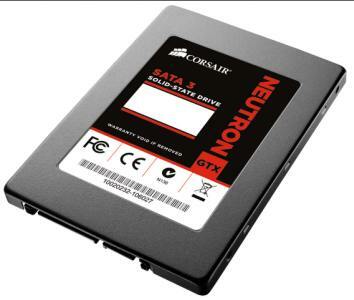 The Neutron series are Corsair's 4th generation SSDs, which were introduced at the Computex event held in June. The Neutron and Neutron GTX SSDs are powered by the LM87800 SSD controller from Link_A_Media Devices (LAMD). Corsair says its new SSDs bring professional-grade performance and provides more reliability to PC enthusiasts, content creators, and IT professionals. Neutron GTX SSDs deliver up to a super-high 90,000 random read and write IOPs (input/output operations per second) and superior sequential speeds of up to 555 MB/s read and 500 MB/s write. The standard Neutron Series models provide up to 90,000 random read IOPs and 85,000 random write IOPs with sequential speeds of up to 555 MB/s read and 370 MB/s write. The Neutron and Neutron GTX drives feature on-the-fly error correction and advanced NAND management technologies to improve the endurance of their flash memory, giving them enhanced reliability and durability. The Neutron Series GTX models also include adaptive DSP technology. 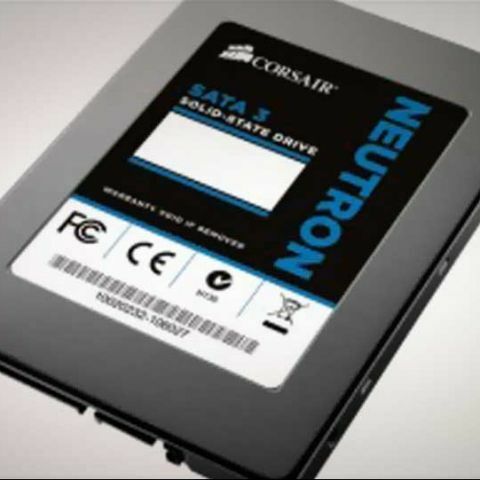 Price: Neutron Series 120GB - Rs. 8,350, Neutron Series 240GB - Rs. 15,350, Neutron Series GTX 120GB - Rs. 10,250, Neutron Series GTX 240GB - Rs. 18,200. Neutron Series and Neutron Series GTX SSDs are now available worldwide in 120GB and 240GB capacities. The Neutron Series GTX 480GB are expected to be available from this month. "Top industry journalists have already given our Neutron SSDs rave reviews for delivery outstanding all-around performance. Now that the Neutrons are available, all PC users will be able experience the incredible real-world performance benefits of Corsair's 4th gen SSD technology for them,” says Thi La, Senior Vice President and General Manager of the PC Components Group at Corsair.